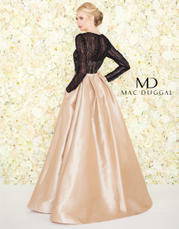 Long sleeve satin ballgown with sequin bodice with illusion neckline. The perfect dress or tuxedo you've always wanted is waiting for you in our store! Stop-in today!